For 18 days we're adding a new Birdorable bird every day as part of our Birdorable Bonanza 2010. 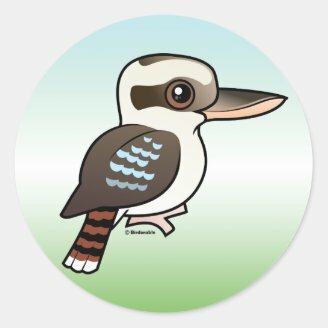 Today's bird is the Laughing Kookaburra! 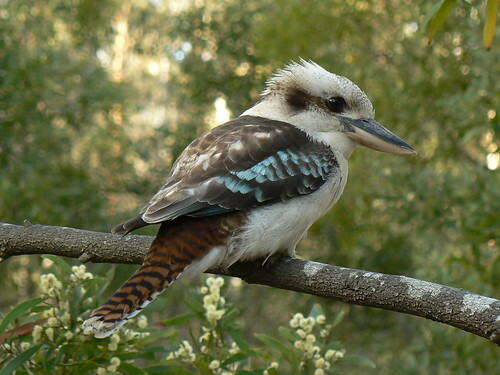 The Laughing Kookaburra is the largest species of the kingfisher family. 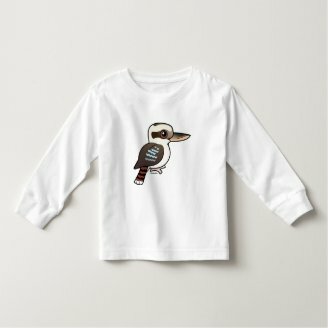 These brown and white birds are named for their unusual call, which sounds like they are laughing: "koo-koo-koo-ka-ka-ka!" 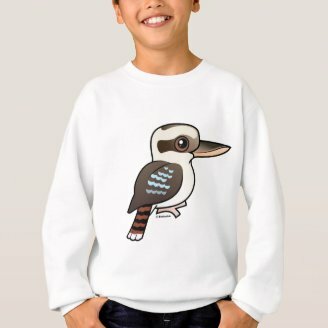 Although the species is native to eastern Australia, the unique call of the Laughing Kookaburra is often used by Hollywood as a sound effect in jungle scenes - no matter which continent. Have a listen to the call and see if you recognize it! 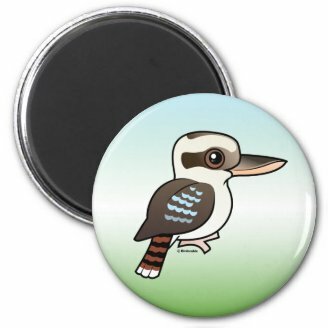 Laughing Kookaburras are fairly common within their range, often found in suburban or urban settings. They will even become habituated to humans. 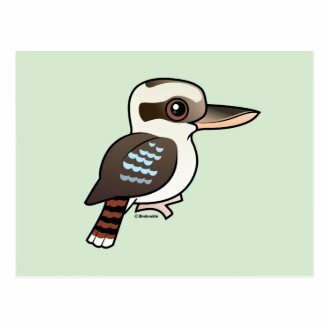 Last month one Laughing Kookaburra got into trouble after eating too many handout sausages. 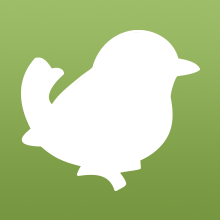 The bird became so overweight that it was unable to fly! Fortunately the bird was rescued and brought in to "bootcamp where it was expected to recover after being put on a diet and exercise plan. Tomorrow's bird is a blue bird that lives in western parts of the United States. Can you guess what it is? 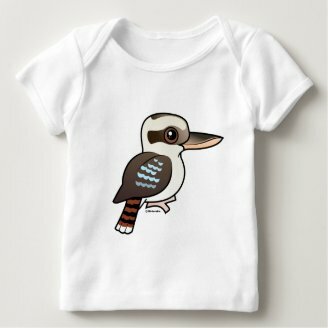 7 comments on "Bonanza Bird #5: The Laughing Kookaburra"
pinyon jay? 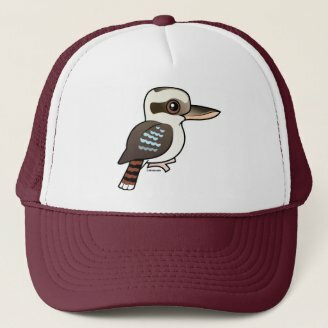 I hat to go through whatbird. I hate when movies mis-use bird sound effects. One of the worst is the Red-Tailed Hawk's call being used for eagles! D: I can't stand scientific inaccuracy, however silly it sounds. Oh! I didn't see the 'blue' part. D: Maybe a Scrub Jay, then? They don't look anything like ducks! 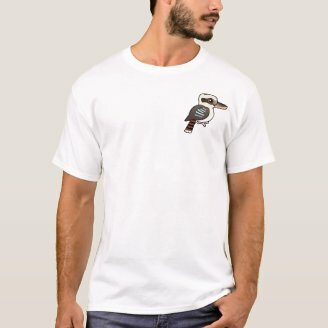 Why do I call this a Ha Ha Duck?